Eliminating unhealthy habits and taking action towards a healthier lifestyle is difficult. The common wisdom says that the first step to making positive changes is to increase self-awareness and learn about one’s patterns and habits. Mobile health apps can help patients record their health over time and provide the insight necessary to make those positive changes. 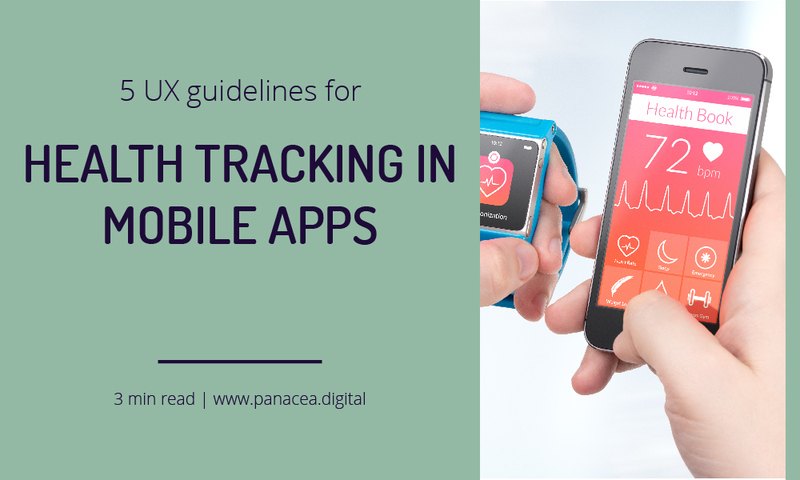 Intuitive and user-friendly health app design is crucial for patients to track their data on a regular basis, increasing their chances of success and driving the user engagement and retention for the mhealth developers. For some, it might mean simply tracking their sleep patterns to optimise their daily routine or setting up a daily step goal to increase physical activity. For others, it might be tracking their epilepsy seizures between doctor appointments to have more meaningful and informed conversation, and therefore improve therapy outcomes. This trend might have exploded with the introduction of wearables and sensors, but the need to do so is not new. The survey conducted by Susannah Fox and the Pew Research Centre indicates that 69% of adults in the US regularly track at least one health symptom. 49% of them report that they track the progress ‘in their heads’, 34% do so on paper, and 21% report using some form of technology. If you’re launching a digital health product, it’s very likely that it will need to support some way of tracking personal health data. 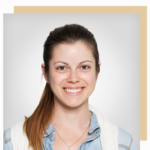 In this article, I present 5 health app design guidelines for intuitive data entry. Entering data, especially on mobile devices, is a tedious process. It requires the user to do repetitive tasks, using tiny buttons and tiny keyboards. Unfortunately, to take advantage of health tracking one has to do it consistently over a period of time. The more unpleasant the process, the higher the likelihood that people will give up before they reach any useful conclusions. Here are some tips for making this process more user-friendly. If possible, take advantage of connected devices and IoT and remove the need for entering the data altogether. 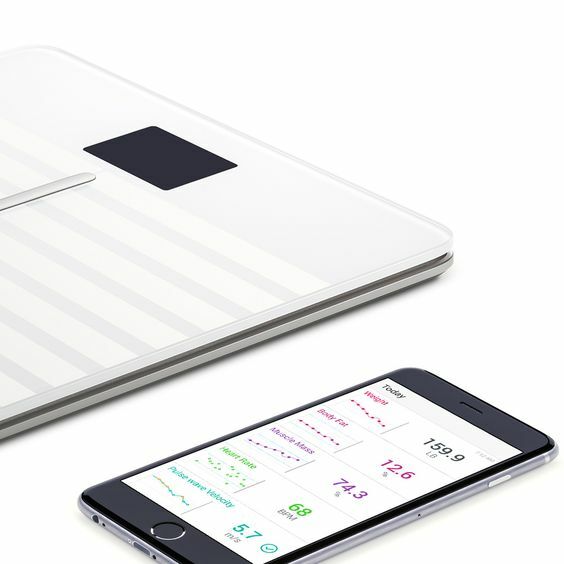 Body cardio by Nokia is a wireless scale that measures heart rate (yes, your humble bathroom scale can now measure your heart rate), body weight, body fat, muscle mass, water and bone mass. No need to enter any metrics, just step on the scales and have your results sent and visualised in the accompanying app. On top of that, it connects with fitness tracking apps, like MyFitnessPal, to pull the food tracking data and activity levels into this mix as well. Body cardio by Nokia sends measurements straight to the accompanying app. Don’t automatically assume that ‘there should be an app for that’. Take time to research your audience and understand what tools and platforms they are already using. Hapi is a Messenger chatbot that lets patients track their epilepsy seizures in a text message format. Users can text simple commands like ‘track’ or ‘chart’ to log seizures or view weekly reports. Another example of health chatbot is St. Panda, the Happiness Chatbot. It will periodically send you an unobtrusive message asking you how you’re feeling that day. If you’re feeling low, it will suggest simple steps like repeating affirmations or listening to guided meditations. St. Panda is an iOS and Android chatbot that periodically checks in with the user. Mercury App is an online mood journal that allows users to make entries via email. In the initial signup process, the user will set the frequency of email reminders. When they receive their email reminder, they can enter notes and log their mood by replying to the email, directly from their inbox. They would only need to log in to the web app if they want to view reports and visualisations. By taking extra time to research your audience’s existing tools and behaviours, you can provide a solution that is more accessible. It might be easier for someone to use a tool they are already familiar with (like an email or text message) than learn a new interface workflow. Sometimes it simply comes down to the amount of space available on their smartphones – in a recent usability study I’ve learnt that people are selective about the apps they download as their phones simply don’t have enough memory to store them all. Data tracking is a repetitive task. Over time, your product has the ability to learn the most frequently used entries and simplify the user’s workflow by making useful suggestions. People are creatures of habit and they are comfortable with their routines. Taking advantage of this fact is an easy way to streamline their health tracking tasks. Fitbit app does a great job providing ‘frequently logged together’ suggestions in their food tracking interface. How often do you change your breakfast routine? I know I have a toast with peanut butter and jam and a cup of coffee pretty much every single morning. As soon as I select peanut butter, I can add the other items in one simple task as the Fitbit app has learnt that I usually have them together. The most common data entry format is text – either entering a value in a text field or selecting a written label (button or checkbox). This is generally how we interact with information and it will work for most people in most contexts. However, depending on the situation, there are other formats we could consider using. In a recent usability study, I worked with a participant who was dyslexic and he used Google’s ‘search by voice’ function as he wasn’t comfortable typing long search queries. It doesn’t mean he can’t read or write at all, but it was his method of choice. Sometimes it is about just that – giving people the choice to use the method they are most comfortable with. In another context it might be an explicit design decision to add interactive, visual elements and therefore make the interface more playful and engaging. On the other hand, sometimes the text format is, in fact, the best option, e.g. when entering a large amount of numeric data. In that case, trying to make it overly playful and visual will inevitably frustrate the user. The point I’m making is that there is no universal right or wrong solution, it always depends on the context and user goals and capabilities. That’s why exploring different options and researching your audience is so important. Here are some examples of different data entry methods in practice. 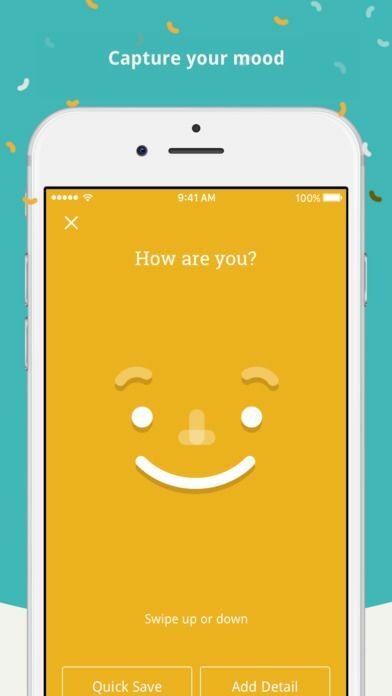 A mood tracking app Moodnotes uses an animated face to log feelings. The user can swipe up or down to ‘make’ the face happy or sad. It’s very intuitive and enjoyable way of interacting and makes the mood tracking less of a tedious task. With Moodnotes, users can swipe up or down to adjust their journal entry. Another method worth consideration leverages smartphones camera capabilities. MySugr Scanner allows users to track their glucose levels by simply taking a picture of the screen of the glucose meter after they took a reading. The app can recognize the numbers on the image and convert it to a numerical data. Food tracking app LooseIt! uses image recognition to suggest food entries based on a picture of a meal. Fitbit app for Windows 10 uses an integration with built-in Cortana (voice assistant like Siri) to enable voice entries. It recognises phrases like “I ate a lasagna for lunch” or “I went for 2 miles walk” to create relevant entries in the app. Even the most rigorously tracked data is hardly ever useful without the context. If the goal of your digital health solution is to help the user spot patterns and triggers, consider providing a way of adding context to the entries. It might be simply a way of adding additional notes to the entries or it might be something more structured. Daylio is a mood tracking app the allows the user to add daily activities alongside their mood entries. Over time the app will show the correlation between different activities and feelings, which makes it easier for the user to understand the context of their emotional ups and downs. MySugr App takes the glucose meter readings and combines them with user’s activity levels, mood and food journal to help the user understand how their lifestyle might be affecting their therapy outcomes. This is the first one from the series of articles about UX design best practice for digital health. It’s only scratching the surface, so stay tuned for more! Next articles will feature more on chatbots, data visualisation, health education and social aspect of digital health.